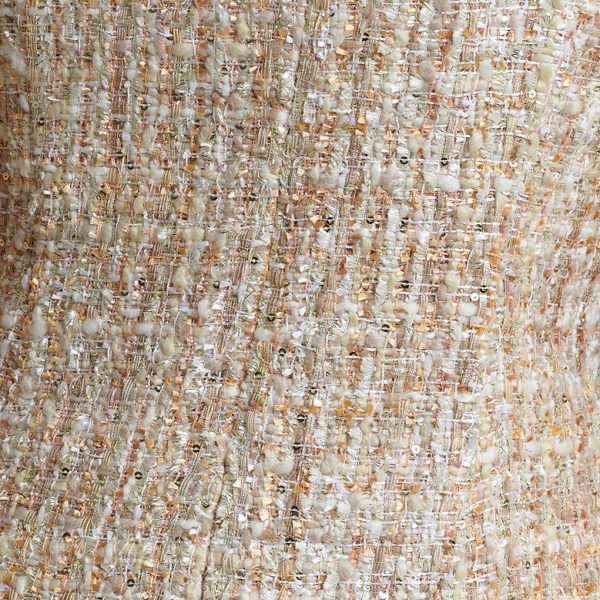 Irresistible IR2024 caramel Boucle dress with wrap. 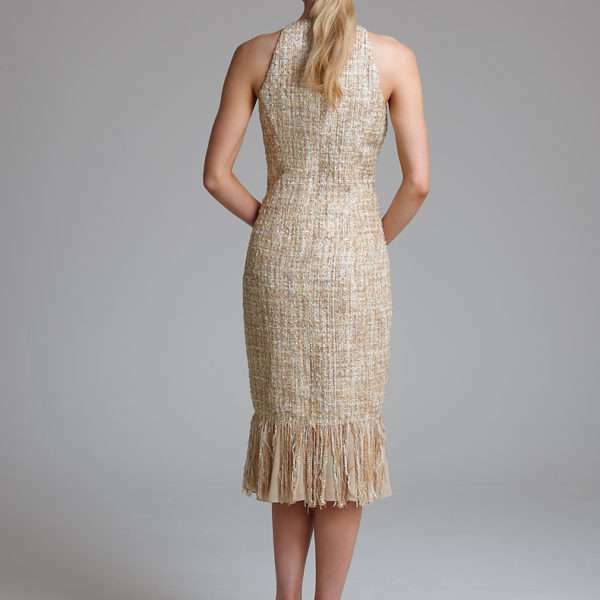 Beautiful Boucle in a tweed like effect make this dress a classic and sophisticated mother of the bride or groom outfit or a special occasion piece. The dress features a fabulous fringed hem, cut away arms with high neckline into a straight shape. 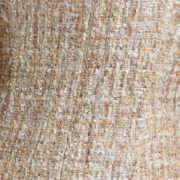 The soft caramel colour will compliment most wedding pallets. The dress comes with a soft chiffon wrap that has the fringe edge detailing to match. We think this dress will look fabulous at races day and beyond as well as a wedding outfit – a classic piece that will be a wardrobe staple.